Have an event going on this month you want us to include? You may post it in the comments section below. For events in the future, feel free to drop us an email here. Ready for some Spring tractor fun? We have found over 50 events you can check out this April located across 23 states: Arkansas, California, Connecticut, Florida, Illinois, Indiana, Kansas, Kentucky, Maryland, Missouri, Michigan, Minnesota, Mississippi, North Carolina, Ohio, Oklahoma, Pennsylvania, South Carolina, Tennessee, Texas, Virginia, Washington, and West Virginia. For more information about any of these events, just click on the red event title and a link to their site will open in a new window. Let us know if you visit any of these great shows in the comments section below, or reach out to us on Facebook! 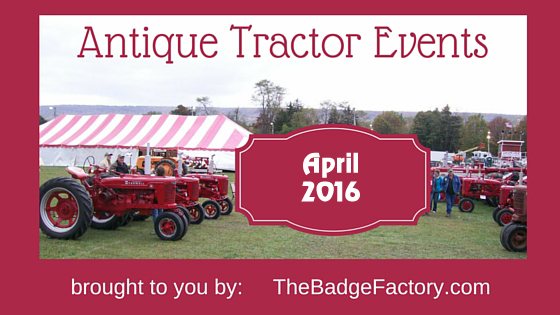 Planning to take your vintage tractor or farm equipment to an event? 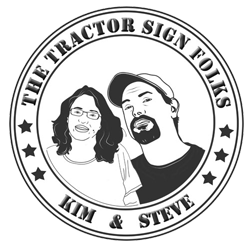 Let us make you a beautiful, weatherproof, personalized display sign for your antique farm equipment! Most orders arrive in about 2 weeks, but if you need it sooner our rush order service will get it to you in about a week! Click here to place your order online, or call us today at 410-239-3368!